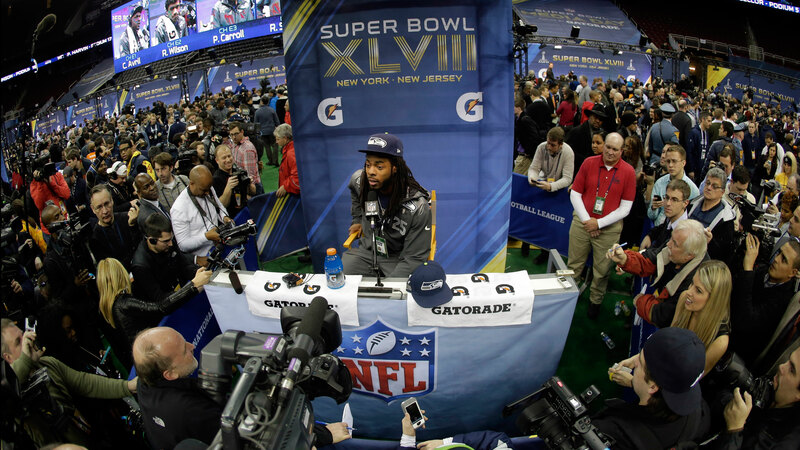 Richard Sherman was the star attraction at Media Day on Tuesday. It was inevitable that he would have to deal with absurd questions (because that’s what Media Day is), but no one expected this. At one point, someone started rambling about athletes making it rain, and then asked the Seahawks cornerback how we, as a society, can keep women off the stripper pole.